My flickr contact and friend Gary Sharp posted this great shot of a tidal pool on the Dellenback Trail on the Oregon coast shot with his Ricoh GR. 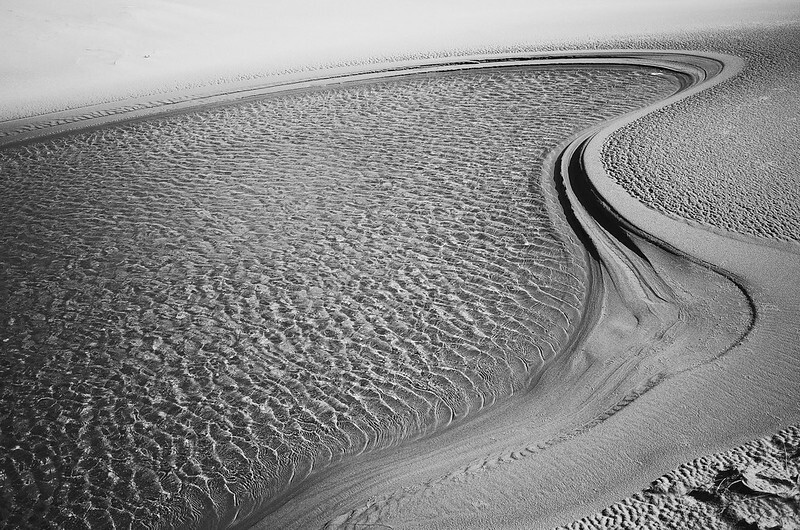 The shape of the bank, the light on the water, the texture of the sand… it’s all great. Another brilliant capture by Gary and the GR! This is another one which actually could be an aerial shot. Agreed Jonne. Not only could it be an arial shot, but just think what Gary might do with a drone! Thanks a lot Richard and Jonne! I was very taken with the shape of this pool; glad the Ricoh’s hi-contrast B & W mode captured it as I saw it.